SmartMoney carried an item the other day about how, according to a new survey, those crazy kids have found another way to act foolishly. They are taking less risk with their investments. The factual basis for believing that younger people are taking less risk is a little thin, a single question on a survey of affluent Americans (Aflo-Americans?) done by Merrill Lynch. Still, it confirms my previously held beliefs and even fits into predictions of the future I made more than a year ago, so I am going to go with it. 52% of those under 34 described themselves as having a low risk tolerance. That is more than either the 35 – 50 age group (45%) or 51 – 64 group (46%). Only the oldest, and presumably retired, 64+ group came in at a higher rate of low tolerance, at 55%. This is a direct affront to one of the more well established bits of personal finance pseudo-wisdom, that young folks should invest aggressively and then taper down the risk as they age. The SmartMoney article is filled with ominous hand-wringing about how recent volatility in stocks has caused an “emotional reaction” in the young that will cause them to impoverish themselves in old age by not taking on enough risk now. I think that the high risk when young, low risk when old principle is, largely, bunk. While I agree that a person a few years from retirement, or in retirement, would rationally take less risk, for the long haul of saving, from early adulthood to late middle age, I cannot come up with a good reason why a person would change the risk level he took in his investments. In other words, if X% in stocks makes sense for a 25 year-old it ought to make sense for a 55 year-old and vice versa. Yet higher risk when young is one of the more well entrenched bits of conventional wisdom. So well entrenched, in fact, that it is hard to find a written explanation of why it is a good idea, which presents problems for those of us who want to argue the other side. It is just universally understood as a baseline assumption of how people should invest. But if it does not particularly make sense, where did it come from? My theory is that it started not as a prescription of how folks ought to invest but as a misleading late 20th Century observation of how they actually do invest. Suppose, if you will, that people tend to settle on a risk tolerance with regard to the stock market based on how the market performed when they were in their 20s and 30s. If the market did well then, they will forever be risk tolerant, if it did poorly they will be risk adverse. Now imagine it is the year 2000. Those under 40 can remember only the great bull market of the 80s and 90s. They think of the stock market as a free money machine and invest aggressively. The 40 – 60 year olds first learned about investing during the mixed bag of the 60s and 70s, so are naturally less keen on taking risk. And the 60+ crowd came of age in the eras of the Great Depression and Second World War. They think savings bonds are just fine, but cash in an old coffee can in the kitchen is a good idea too. The mistake, of course, was to view these different generations as forming the stages of a life cycle of investing, rather than an accident of history. Young people are not naturally aggressive in their investing. People born in 1970 are, and will probably still be decades from now. Taken in this light, it is not in the least bit surprising that those now under 34 are more risk adverse than the generations that immediately preceded them. They might dimly recall the waning days of the dot com bubble, but what really made an impression on them was the lost and unnamed decade of 2000-2009. What now? I am not optimistic that the life cycle theory of risk aversion will die anytime soon. More likely, we are in for many years of pundits tut-tutting the younger folks for not taking proper amounts of risk. Alternatively, and this really would not surprise me, somebody will back-fit a theory onto the facts, explaining why taking less risk when young, more when middle aged, and then less when old, makes sense. Conventional wisdom has been born from less. I was always under the impression that the risk-reduction as we age thing made sense because of longer time horizons. Over a 40 year time horizon, a buy-and-hold strategy of stocks will likely churn out an average return that is both positive, and higher than the average return of a low-risk portfolio. As the time horizon decreases, the likelihood of doing poorly at a time when you really need to withdraw money increases. So in the last 5-10 years of saving, looking for good exit points and taking them becomes a wise decision. So I guess the continuum of risk reduction over decades doesn’t make a whole lot of sense. But I think this conventional wisdom did grow out of an intelligent principle. I’m confused. Perhaps you’re speaking about “risk”, and I’m thinking “volatility”, or something like that… I think the article might be treating the two concepts as the same thing, which is very common (since volatility is unmistakably a short-term risk). But it seems stupid to keep your retirement money in a highly volatile investment as you approach closer to the time you’re going to need to withdraw it. 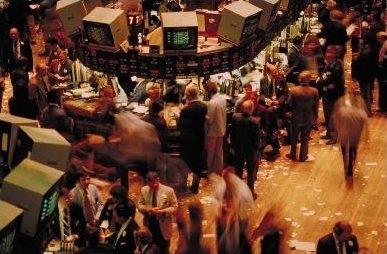 Therefore, since most people’s biggest long-term investment is their retirement savings, and since known low volatility investments are always arbitraged to low-return, therefore an older investor (=closer to needing to withdraw) should prefer expected low-volatility investments, even at the cost of reducing the expected return. In this respect, it makes sense to me to say that old people should want to reduce their “risk”, while young people should want to increase their expected return (at the expense of increased volatility). There’s a lot more complication in the real picture, but as a thumbnail overview, is this really a bad idea? Frank, I think your analysis of this is looking at a single lump sump held from 25 to 55. If you are dealing with a lump sum then its true it doesn’t really matter if the risk is sooner or later, its all the same impact. Hitting a recession at age 30 would be the same as hitting a recession at age 50. But people don’t invest for retirement with just a single lump sum at age 25. We put $5k a year into an and the amount grows over time with inflation. At age 25 you may be putting $5k in to your Roth but with inflation your annual contribution will likely be $12k by age 60. Because your retirement account gets top heavy with age, a recession and -40% loss at age 55 will hurt you more than a -40% loss at age 30. Say for example you save $5k a year from age 30 to age 60. Increase your savings 3% a year for inflation. If you get 10% every year except a -50% loss at age 35 then you’d end up with $982k. If you get 10% gain every year but a -50% loss at age 55 you’d end up with $589k. Your title should be “Risk Averse”, not “Risk Adverse”. There’s no such thing as risk adversion, sorry! I agree with Jim. Assuming the hypothetical investor is making annual contributions rather than a lump sum, then I would be more comfortable with a larger stock allocation at a younger age. It is much easier to recover from a large percentage loss when the amount invested is relatively small compared to your lifetime savings. I personally believe that young investors should be extra-agressive in an attempt to hold a constant dollar amount of equities over their lifetime. This theory is explained in the book “Lifecycle Investing”. The theory is taking a lot of criticism, but in my opinion this is just recency bias, since equities have not performed well the past decade. Lisa: Once again, the spell checker fails me. Thanks. I will correct. Jim & CoderDude: Suppose we think of it as 30 lump sums, that is, 30 separate accounts, invested annually from 25 to 55, each to be held until age 65. Would it make sense for the account started at age 25 to be invested differently than the one at 35, or even 55? I don’t think so, or at least they wouldn’t be different enough to care. There is a variation on your argument that views a total retirement kitty as being made up of two parts: money already saved and money yet to be saved. If you think of these two parts as a sort of meta asset allocation, you can make the argument that the yet-to-be saved is similar to a fixed income investment. So naturally, when you are young and most of your prospective nest egg is in the form of this fixed income thing, you would want to balance that out with equities in the bit you already have in cash. But I think this argument breaks down because your future savings is not really like a fixed income investment after all. Unless you are a civil servant (and maybe not even then) your future income and what you will be able to save from it is variable and will go up and down with some mixture of random chance and the economy. Just like stocks. The one argument in favor of more risk when younger that I think is solid is the one nobody wants to hear. You can take more risk when younger because you still have the “option” to work harder and/or longer and save more later on if things go badly. I don’t think that most young people would be happy to risk more based on that rationale, and in any case I don’t think it would explain anything like the difference between how conventional wisdom would have a 25 year-old and a 55 year-old invest. A person’s risk aversion increases over time. The older you get, the less willing you are to assume risk. How many older people do you know who start new things? How many older ones do you know, who stay with what they know best? For this reason alone it makes sense that a person invests more cautiously as he or she advances in age. Frank, I look at it more of a risk/reward comparison at different ages. When I’m 30 I have a relatively small amount in retirement so the risk is I’ll lose a large % of that portion of my eventual retirement but I know I have decades to save more. If I’m 55 the risk I’m taking is losing a large % of my retirement without the ability to rebuild it. I am assuming and looking at it s if in the future I will have income. At age 60 its an “all or nothing” bet. At age 30 its not an all or nothing bet since you have 30 more years to save and recover. I think the point is how much risk people will tolerate without panic selling. Risk aversion increases with age. If you maximize the total risk you can tolerate over your lifetime, you take less of it when you’re older and more risk-averse. So, in the end, this boils down to protecting people from themselves again. > But I think this argument breaks down because your future savings is not really like a fixed income investment after all. Correctly or not, I do view my future savings as a fixed income investment. I need a certain dollar amount $X to comfortably retire, so I assume my future savings are $X (adjusted for inflation and expected investment growth). If my future savings are significantly less than $X, I am in bad shape and it doesn’t much matter what asset allocation I used for my existing savings. So I optimize for the case where I do save at least $X. I completely agree with this argument, and I think it is matches observed real-world behavior. Lots of people choose to retire earlier or later than they originally expected based on their savings level. People tend to make these adjustments later in life than they should, but this is probably due to ignorance and/or optimism.